Daily Missions are unique, stand-alone challenges with special gameplay rules, offering rare and exclusive rewards for completion. Each day, a new Daily Mission task will be posted, which can only be completed by playing in the Daily Mission, found within a new tab in the Mission page. A new lockbox hero is available: Hybrid. Complete the weekly Ho-Ho-Ho Hybrid Tasks to collect Symbiotic Lockboxes. Additional lockboxes can be collected by completing the Daily Mission Tasks. Bio: Scott Washington was a Guardsman at the Vault, protecting a unique science experiment: the four offspring of the symbiote called Venom. After his brother was killed and he was paralyzed in a gang shooting, the symbiotes found him and bonded with him. Calling himself Hybrid, he now seeks vengeance against criminals of all kinds. 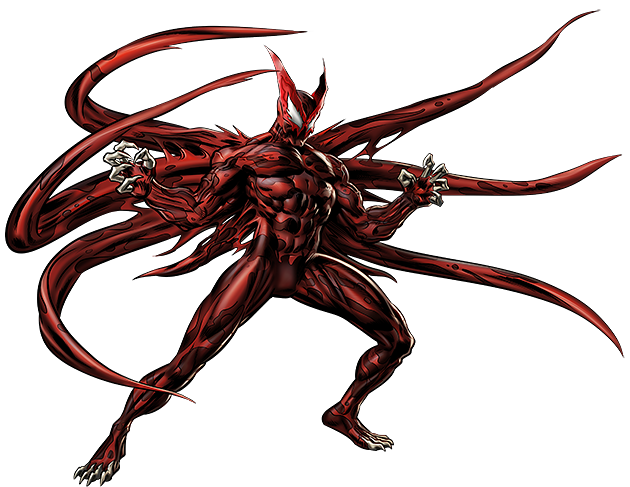 Customization: After enduring the Green Goblin’s barbaric experiments, Hybrid and his symbiotes have unlocked an amazing affinity with Augmented and Empowered Iso-8. However, this will have to wait until Hybrid decides to join us...perhaps until a certain holiday. 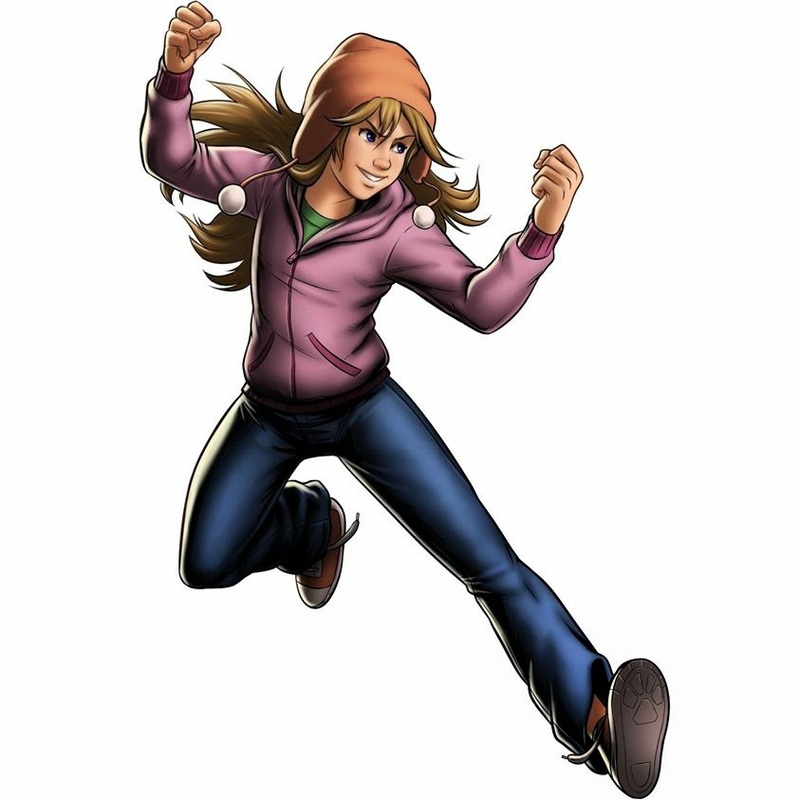 Bio: Molly Hayes is the youngest member of the Runaways, a group of young heroes who ran away from home because their parents were super-villains with apocalyptic plans. When Molly's abilities of super strength and endurance began to manifest, she saw it as the perfect opportunity to wear a cool costume and become a vigilante super-hero with her friends. However, the constant threat of being broken up by powered villains and heroes alike have caused Molly and the Runaways to stay on the run. Action 4 : Let’s Play Catch! Note: Work on fixing issues in the Pre Season PvP Beta is on going. We thank you for your continued patience. A patch is forthcoming to fix these issues. We’re working quickly to make this available as soon as possible so your task progression isn’t hindered. Completing Task 16 may result in an error. Attempting to play Spec Op 21 mission Incursions will result in an error. Chapter Incursions are not affected. Briefing - Home to untold wonders, S.H.I.E.L.D. must move quickly to help protect the Savage Land from the predations of scientists gone mad, internal power struggles, and the threat of Iso-8. Defining the age old adage of evolve or die, the High Evolutionary has made the Savage Land his personal playground. 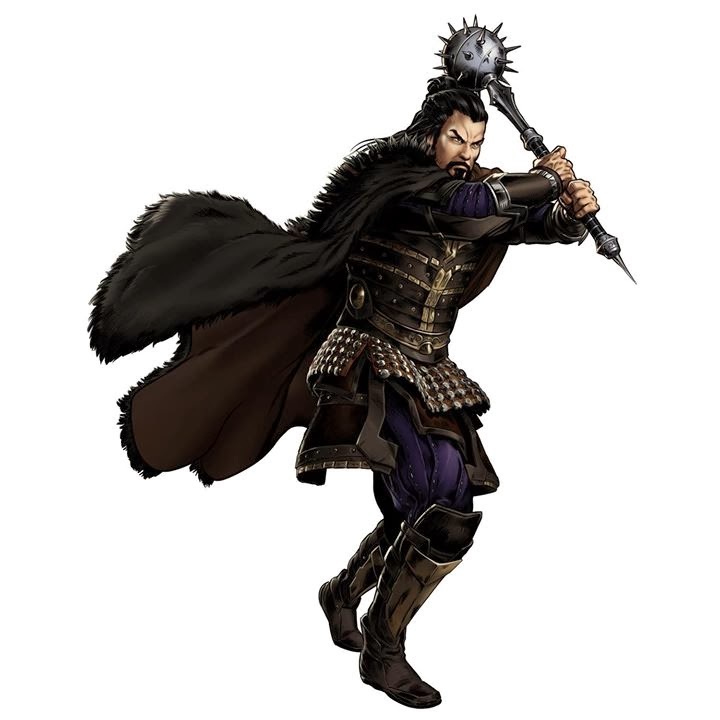 Bio – Lord Robert Plunder, with his eldest son, Kevin Plunder, fled to the Savage Land to escape those seeking to exploit its rare deposits of Vibranium. After Lord Plunder was killed by the native Maa-Gor tribe, the same fate seemed to be in store for Kevin until he was rescued by Zabu, the last of a species of saber-toothed tiger. The two formed an empathic bond and became legendary to the denizens of the Savage Land. 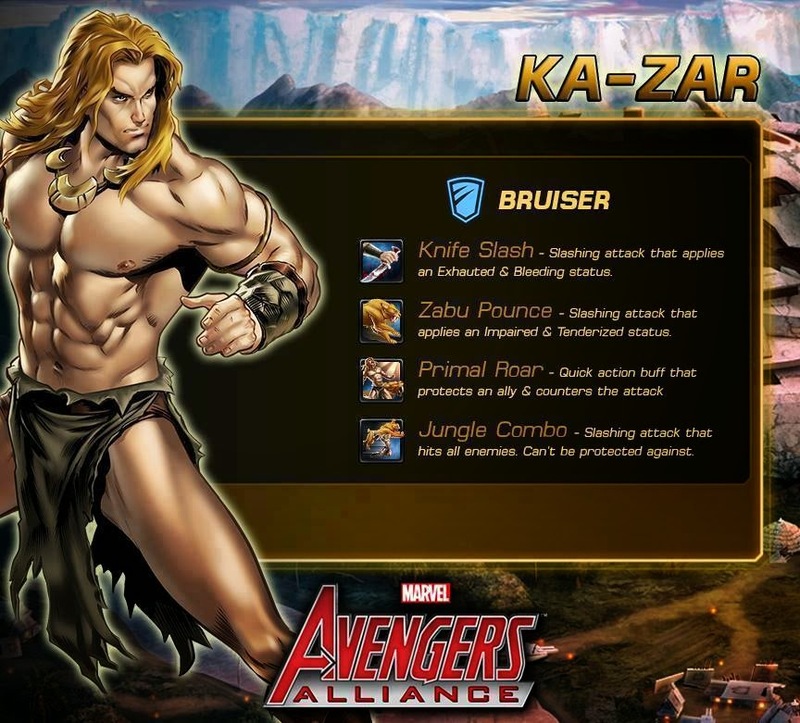 Kevin was given the name of Ka-Zar, which means "son of the tiger," and has allied with many heroes that have found themselves lost in the Savage Land. Bio: In the year 3000, a distant relative of Mr. Fantastic named Nathaniel Richards discovered the secret of time travel. Using the technology of the future to enslave the past, Nathaniel carved an era-spanning empire under the moniker of Kang the Conqueror. As enigmatic as he is powerful, Kang's devotion to preserving the timeline exceeds even his desire for conquest. Bio: Herbert Wyndham was a geneticist, cast out for his inhuman experiments. He evolved his own mind using a genetic accelerator. As the High Evolutionary, he seeks to evolve all life on Earth to perfection… with or without their consent. 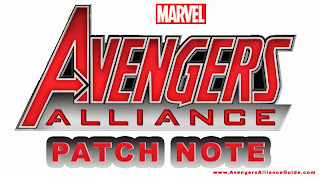 Briefing - S.H.I.E.L.D. is playing a dangerous game of hot potato, as earth becomes a hotbed of cosmic conflict between some of the biggest powers in the galaxy. 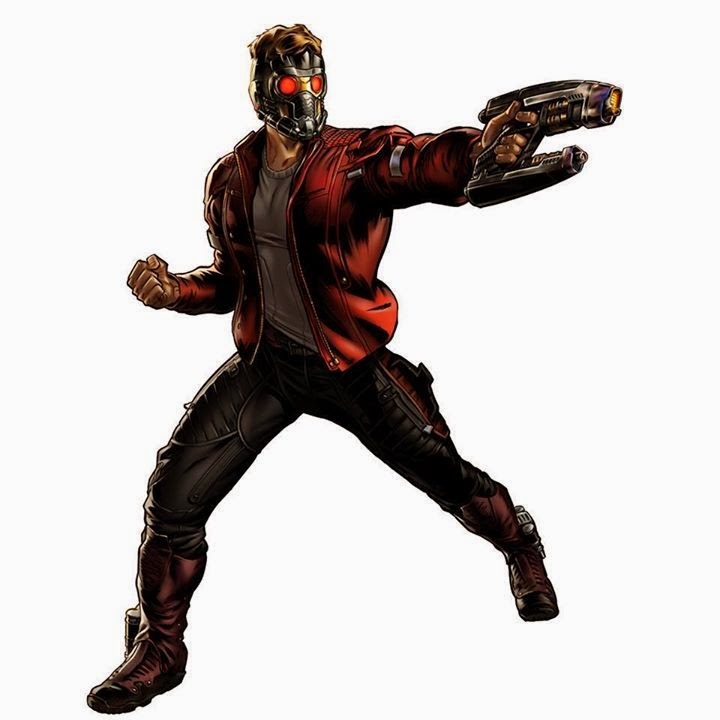 Bio – Abducted from Earth as a child and raised by space pirates, Peter Quill grew up to be kind of a jerk. Luckily, he found a team of other jerks in need of a leader: the Guardians of the Galaxy. When he's not hitting on alien girls or trying to convince people that he's famous, he can occasionally be found saving the galaxy. 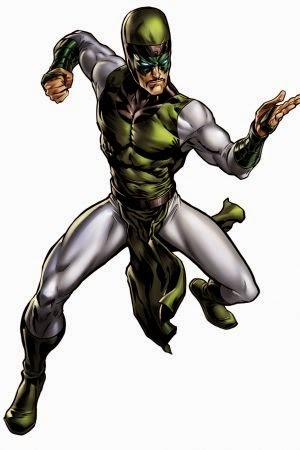 Formerly the Supreme Accuser of the Kree Empire, Ronan is utterly ruthless in pursuing his twisted form of justice, and will stop at nothing to regain his title. Compared to the others of the Black Order, Black Dwarf seems almost jovial. This demeanor conceals an uncaring nihilism, an acceptance of Thanos' vision of universal death. The granddaughter of Thanos, Nebula’s superhuman strength, durability, and mastery of advanced weapons and technology make her a powerful adversary in her own right. Mysterious and unstable, Supergiant is a psychic parasite, feeding on intellect and controlling the minds of her victims. Multi-action tasks will no longer be given. Currently active tasks that have multi-action objectives will have to be aborted if you no longer want them on your task list. Briefing - A weakened Brotherhood of Mutants is no match against a powerful Sentinel army and the prying grasp of Mr. Sinister. With few options left, the remaining members must flee or forge new alliances as they face the breaking of the Brotherhood! Bio – Sam Guthrie is a mutant with the power to discharge thermo-chemical energy from his body, becoming a near-invulnerable human rocket. Though he is most-known as a founding member of the New Mutants, he has joined many teams since, always bringing his courage and sense of justice with him. 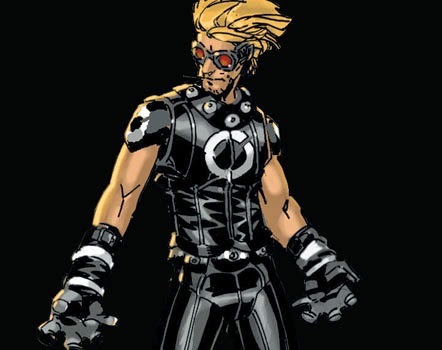 Bio: One of the longest-serving members of the Brotherhood of Mutants, Dominikos Petrakis can generate vibratory waves from his hands, causing inorganic matter to be violently shaken apart. An additional training bay can be unlocked to train two heroes simultaneously. The Speed Up and Rapid Training options are still available and can be used in conjunction with Multi-Hero Training for faster results. This feature will also navigate to a hero that is ready for training, by selecting the Training Available button. 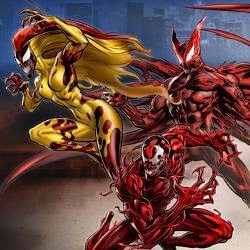 Briefing - The discovery of a few dead symbiotes was only the beginning: Carnage, Venom, Scream, Hybrid and Anti-Venom have arrived on the scene. Along with the mysterious appearance of a new batch of Test Subjects, Spider-Man and S.H.I.E.L.D. look for help in the most unlikely places. After nearly being destroyed by Scream, the other four offspring of Venom merged together into a new entity. Calling itself Hybrid, it has become something far more than the sum of its parts. When the Venom symbiote produced an offspring, it bonded with the closest person it could find: Eddie Brock's cellmate, the serial killer Cletus Kasady. Amplifying Kasady's lust for murder, Carnage is stronger than Spider-Man and Venom combined. One of the five offspring extracted from the Venom symbiote, Scream mauled her siblings and then fled the lab where she was created. Bio – As the original host of the Venom symbiote, Eddie Brock was one of Spider-Man’s greatest enemies. That changed when the symbiote was forcefully removed from Brock’s body. The leftover Venom particles in his bloodstream were transformed, bonding to his white blood cells, becoming a symbiote unlike any before. Born again as Anti-Venom, he has all the strengths of a symbiote with none of the weaknesses, plus the ability to cure any disease or poison. As to whether Brock’s hatred of Spider-Man has changed as well… that remains to be seen. Action 2 : I AM THE CURE! Bio: William baker used to be a small-time crook. After escaping from prison, he fled to an irradiated beach near a nuclear testing facility. The radioactive sand fused with his body, allowing him to change shape, scatter and reform himself, and withstand almost any attack. Originally a prime member of Spider-Man’s gallery of rogues, the Sandman has recently attempted to overcome his inglorious past and become a hero. With S.H.I.E.L.D. 's resources stretched thin, and the Circle of 8 activities shifting into overdrive, heroes begin taking it upon themselves to mete out justice. With a mounting body count what could their motivations be? 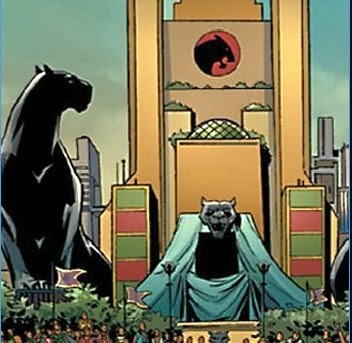 Meanwhile Wakanda is reeling as the White Gorillas gain strength thanks to the continued backing of HYDRA. 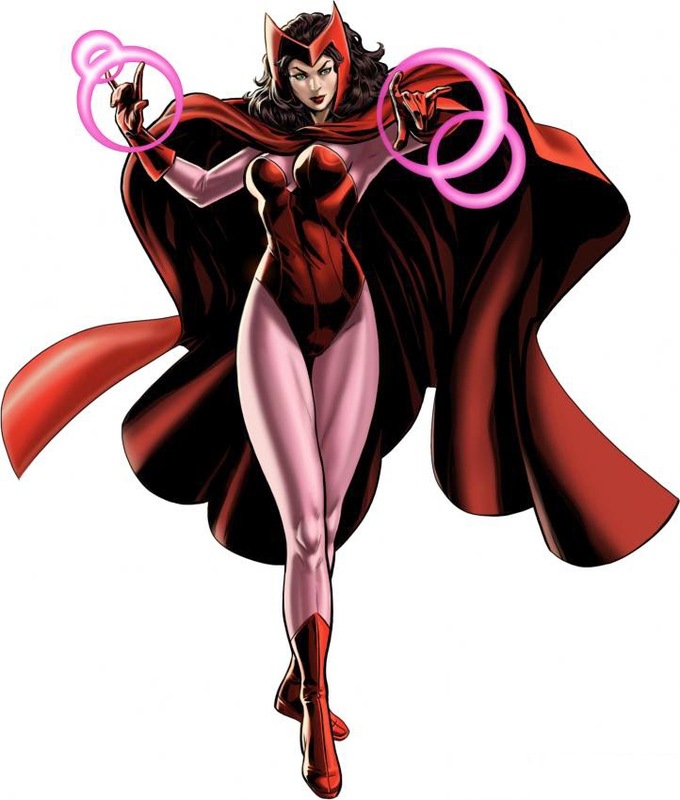 Get the Transian Scarlet Witch Uniform by completing Chapter 5 100%. Spider-Man has a new limited edition uniform which makes him truly amazing. The S.H.I.E.L.D. Simulator is divided into two areas: Challenges and Villain Archive. Challenges features a wide range of conditions and obstacles, such as class restrictions, time limitations, score challenges, and many more! The difficulty may be high, but completing all Challenges in a Set will give a reward! To attempt a Challenge requires Simulator Points, which are consumed when a Challenge is started. Simulator Points automatically return over time, or they may be purchased from the Store. The Villain Archive provides a brief bio for each villain and also creates a simulated fight against them. These simulated fights do not consume Simulator Points. Combat text can now be toggled on and off in the Settings, Options. This greatly increases combat speed by removing most of the battle text. Captain Steve Rogers can properly change modes with Take Charge, while Depowered. With enemies appearing around the globe, it is getting harder for S.H.I.E.L.D. to stay on top of the threats. Moving between London, San Francisco and New York has kept S.H.I.E.L.D. busy, but with news of conflict in Wakanda, will their forces finally be spread too thin? Heroes can now train to Level 14. 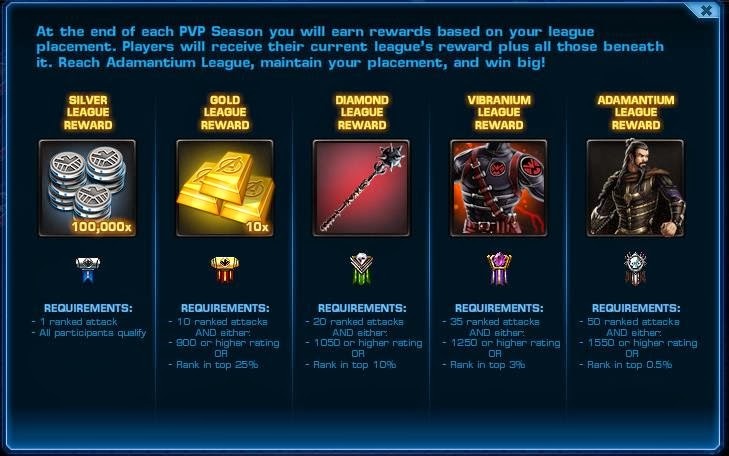 Level 14 heroes provide a Vibranium Elite PVP Bonus and have access to all four Augmented Iso-8 move levels. An Unequip Button was added to Empowered Iso-8 that are currently equipped to other characters. Support was added to allow for dialogs to display during combat. 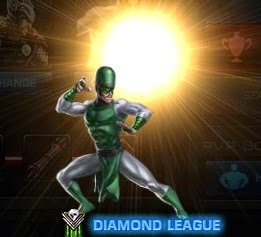 Currently can be seen in Season 2 Chapter 4 Heroic Battles. The reforge popup will now properly show the effects of reforging Multi-Action Gear. When viewing a user profile the Attack and Defense bonus is now displayed for both the user’s Offensive and Defensive teams. In addition, slotted Armory items are now listed in a more clear manner. The store has several changes to allow for easier access to your supplies and Iso-8. The Resources tab was changed to the Iso-8 tab which contains all Iso-8, Empowered Iso-8, and Augmented Iso-8. The Supplies tab now contains the Lockbox, Energy, and PVP items. 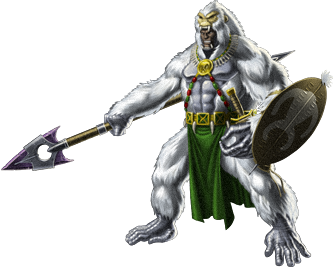 Gorilla imbued with super human strength. modifies a hero’s stats and Enhanced Iso-8 grant new passive effects, Augmented Iso-8 allow a player to customize a hero’s individual moves. Read more about the changes at Introducing Season 2: Chapter 4! Get the Captain Marvel Uniform by completing Chapter 4 Mastery! Briefing - Test Subjects evolving, Sugar Man lurking, and looming over it all, the shadow of Mr. Sinister. Time to brace ourselves for the inevitable Apocalypse. Spec Op 16 introduces Strike Teams, in which players choose a subset of their team to carry out missions. Players will need to carefully choose the members of their Strike Teams, as only members of the Strike Teams may be used in the upcoming combats and deploys in the next missions. For Spec Op 16, the Strike Teams are sent into split missions, each of which have unique story dialog, deploys, boss encounters and rewards, offering a significant amount of replayability. The Agent may or may not be assigned to a Strike Team. Items and distress calls can still be used when the agent is not present. A text field search is now available in the store and while equipping gear and uniforms. A new limited run of Valentine’s Day Cards are now available. Send them as gifts or get them from visiting friends. Bio – The class clown of Xavier's School for Gifted Youngsters, Bobby Drake is nonetheless a stalwart original member of the X-Men. His command of temperature allows him to turn his body into organic ice, freeze atmospheric moisture into whatever object he desires, and launch punishingly cold projectiles at his enemies. Though he is hardly ever serious, Bobby's powers taken to their extreme rank him amongst the most powerful mutants on Earth. Born thousands of years ago in Egypt, En Sabah Nur is one of the oldest and most powerful mutants to have ever lived. His genocidal crusade for mutant supremacy is guided by a simple law: survival of the fittest. 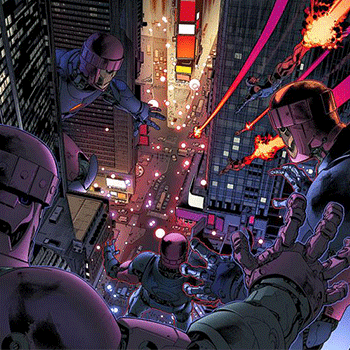 When Apocalypse begins his genocidal conquest, he recruits mutants to serve as his "Four Horsemen". Brainwashed and twisted to serve his interests, they are granted even greater power than they had before.